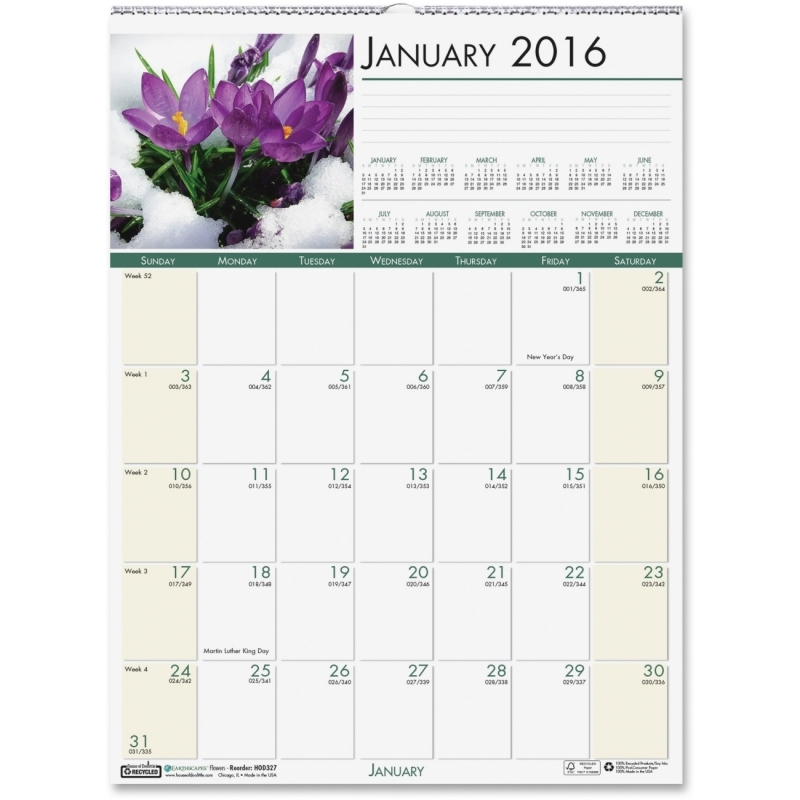 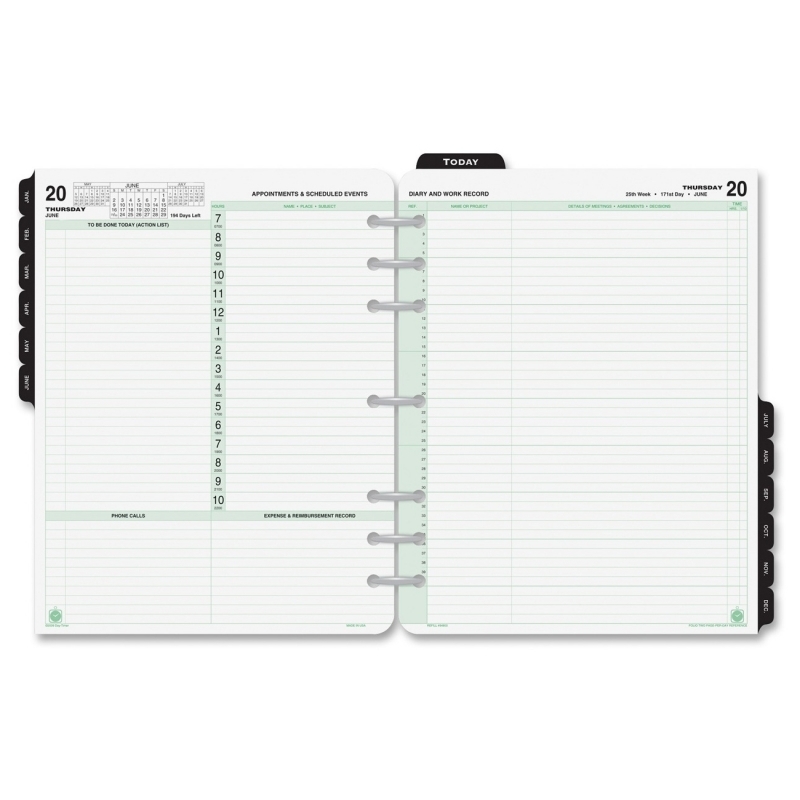 Calendar pages feature two-page-per-week spreads. 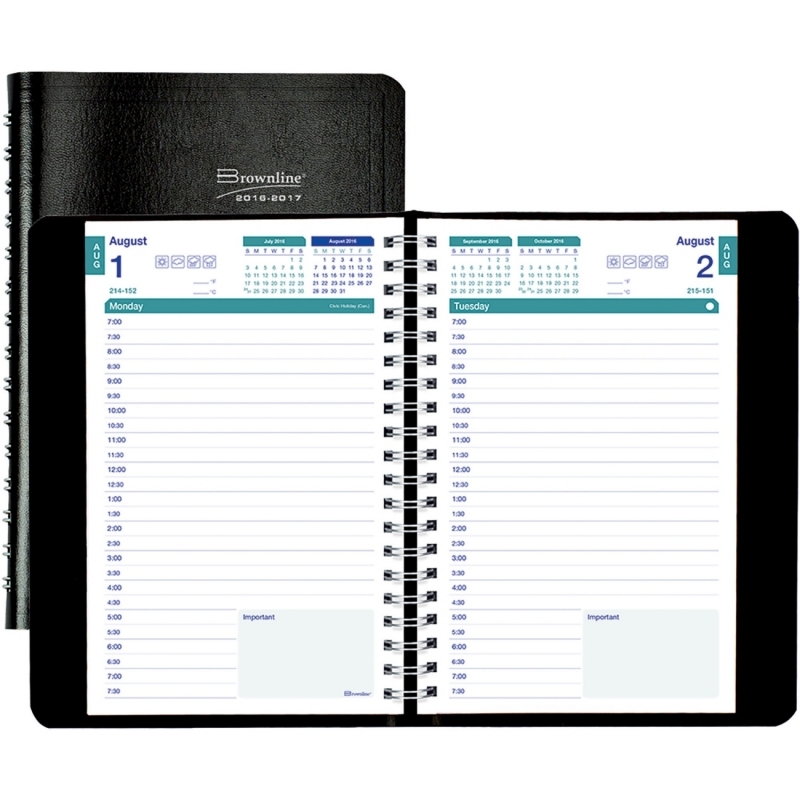 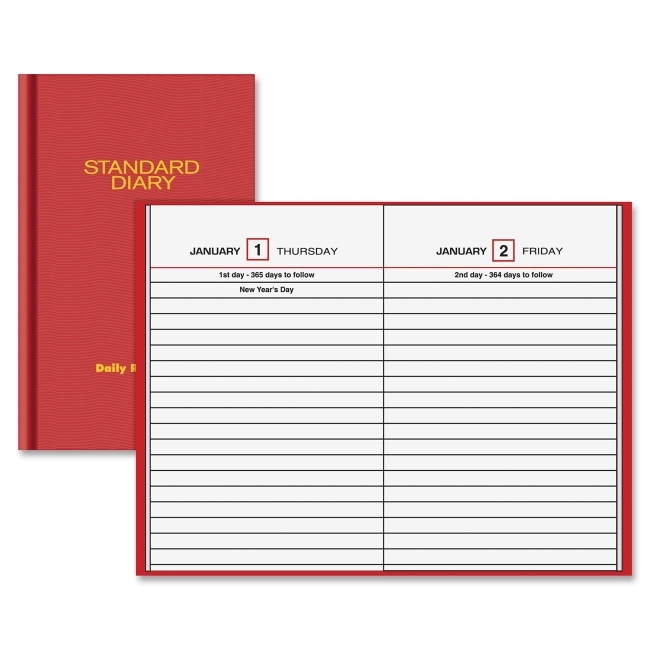 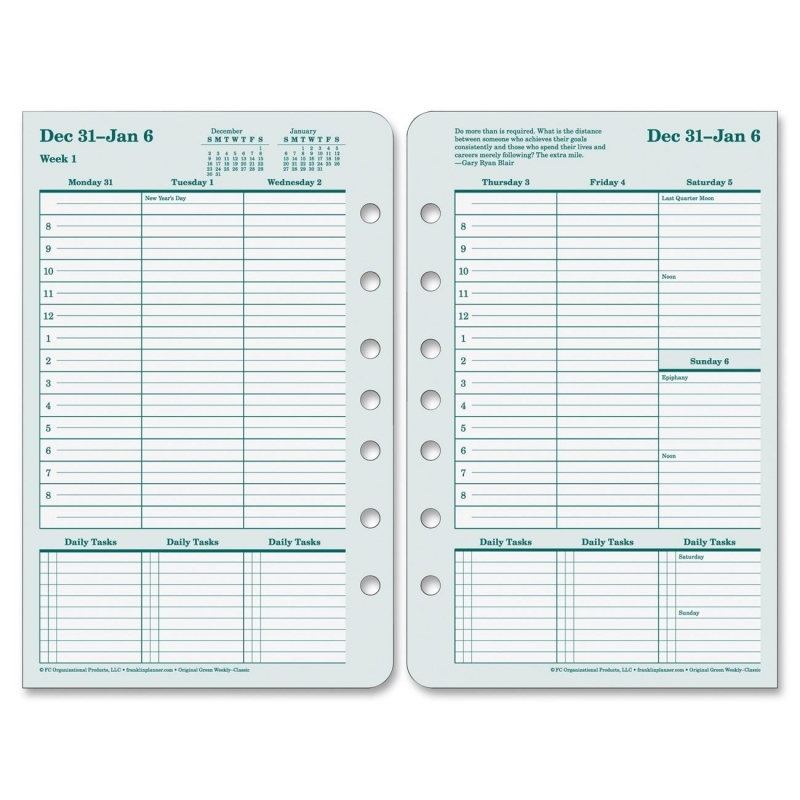 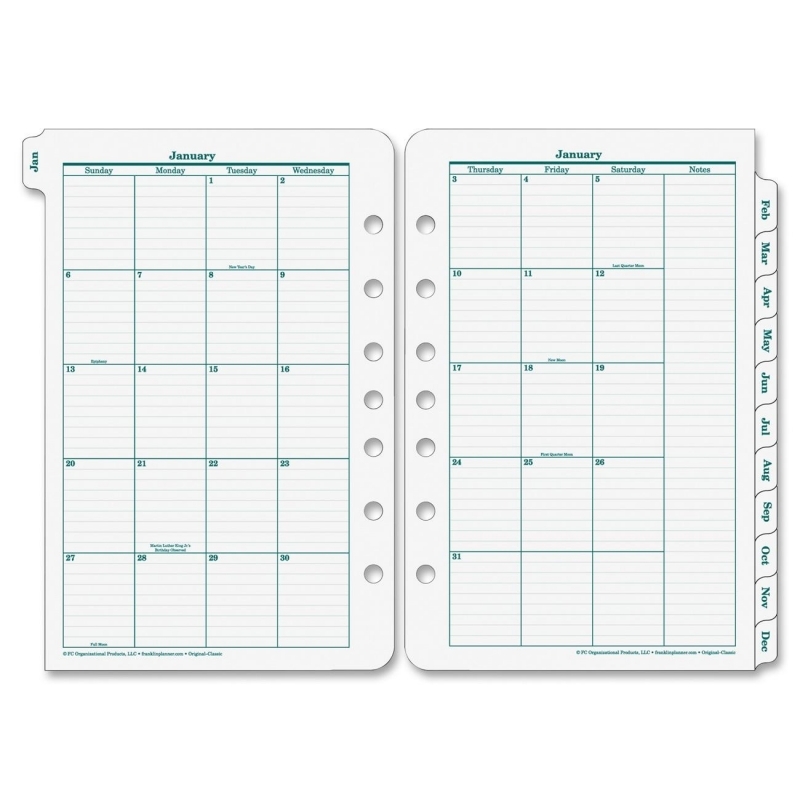 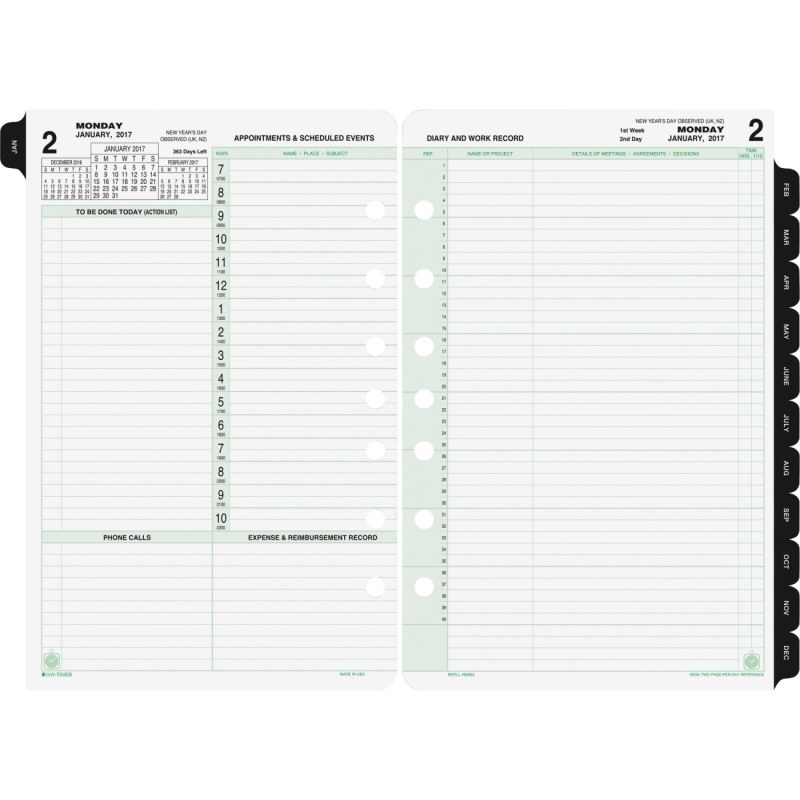 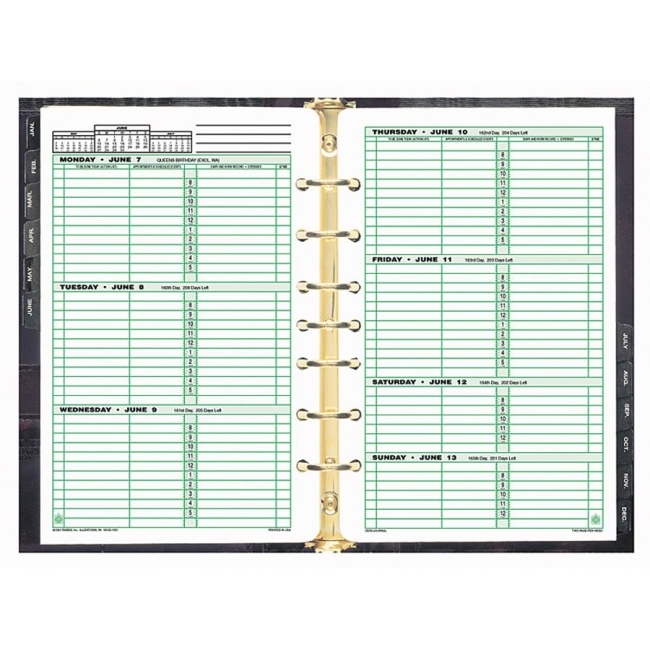 Day-Timer planner refill comes with address/phone pages, advance planning calendar, reference pages, 12 monthly tabbed dividers, expense forms and a page locator. 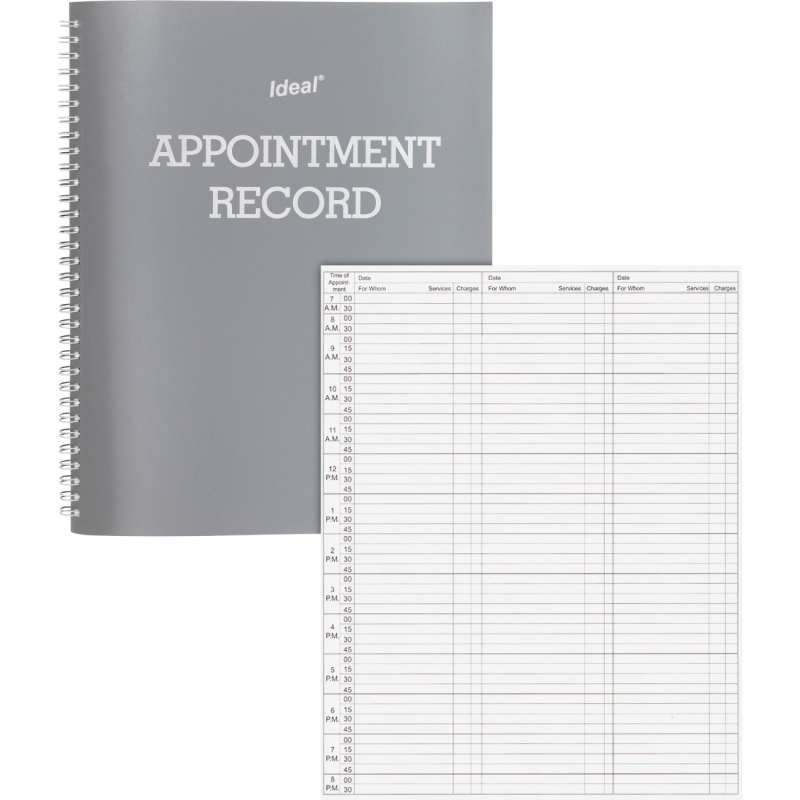 Appointment schedule runs from 8 AM to 6 PM. 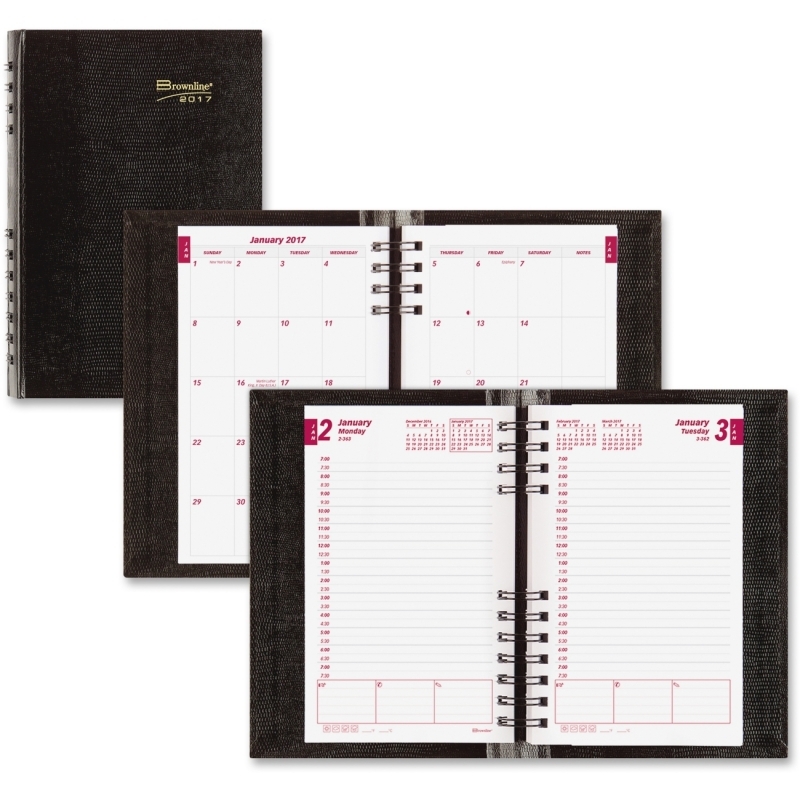 Refill ranges 12 months from January to December and is made with 50 percent post-consumer material.